“Sea, you challenge time since the world’s dawn”. This poetry written on a stone in the ancient port of Camogli summarises the spirit of this village ever since facing the sea. A village that holds sea stories that reached the most remote corners of our globe. It is during the autumn evenings that the sunset colours explode in their full power giving us a breathless feeling in front of the sea. Camogli is the story of a sailors’ village. 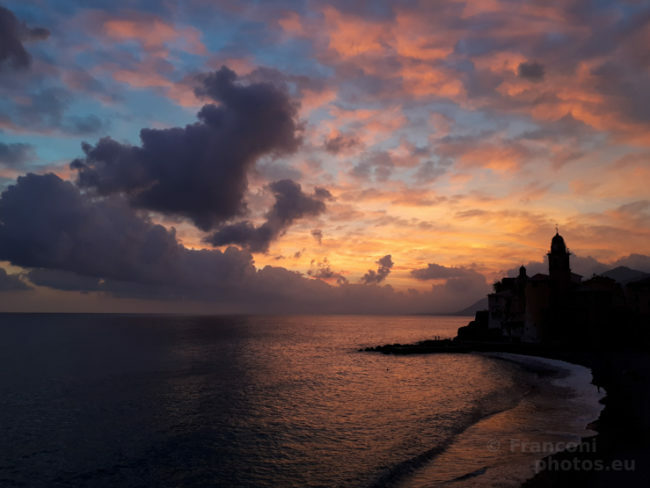 © Franconiphotos.eu – All right reseverd.